Our friends at Bangkok Garden invited us to a tasting of their Thai cuisine last month. 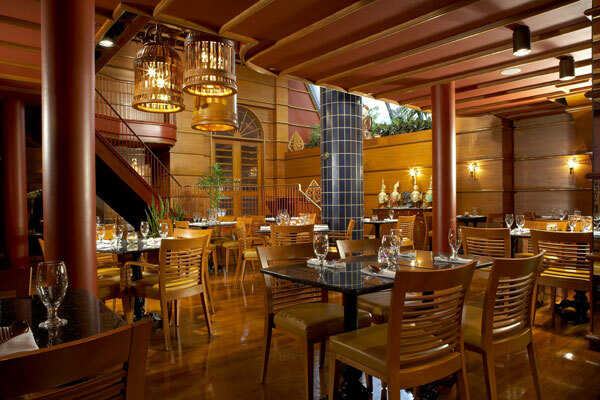 The restaurant is part of Elmwood Spa and located on the lower level of the building. The night started with delicious appetizers like Spicy Beef Salad on a cool cucumber, Scallop Satay and Pad Thai in little red take-out boxes. The dinner was served family-style and everyone got a little taste of the nine different dishes served that night. 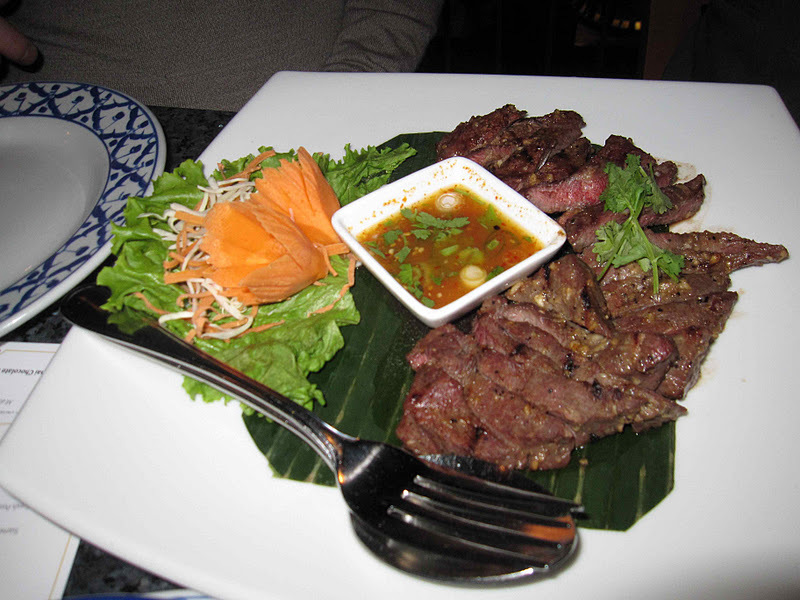 One of my favourites was the Siamese Beef (above) marinated in Thai spices and grilled to medium rare and served with a spicy sauce on the side. 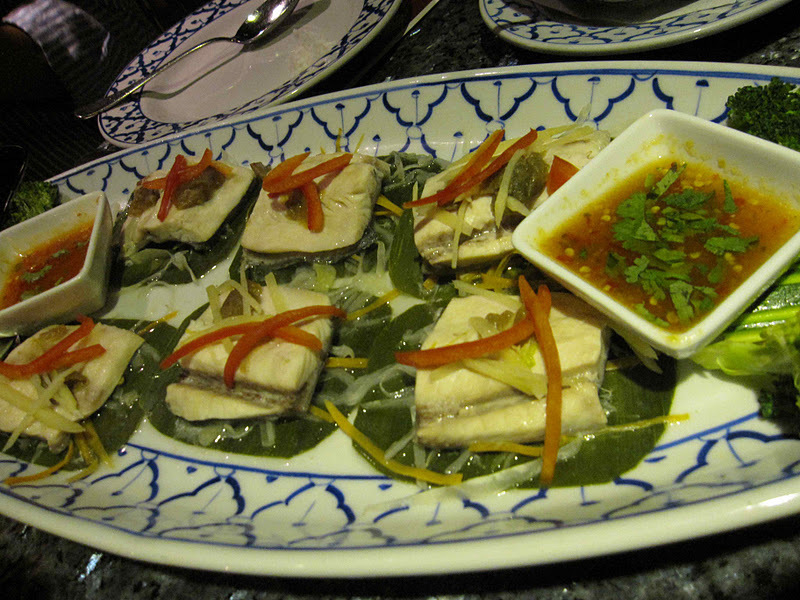 Steam Ginger Pomfret is a tender flaky fish sprinkled with sea salt, rubbed with pickled plum and ginger and then steamed in a banana leaf (left). The presentation is stunning and the flavours are subtle and don't over power the fish. Curry Three Ways had a lot more heat than anticipated, so I heaped on the white rice. 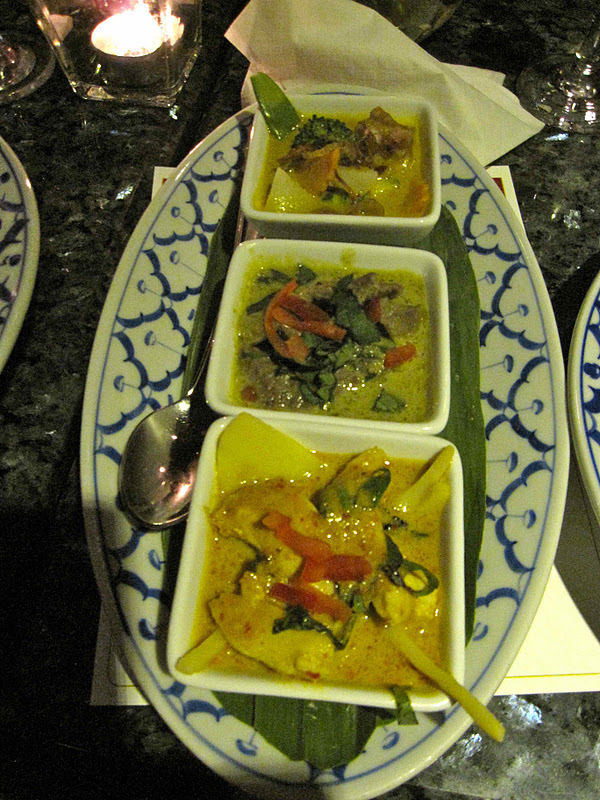 We tried a red chicken curry, yellow vegetable curry and coconut green beef curry. It was nice to have a taste of everything, but after awhile I got the curries all mixed together on my plate and the heat kicked in. 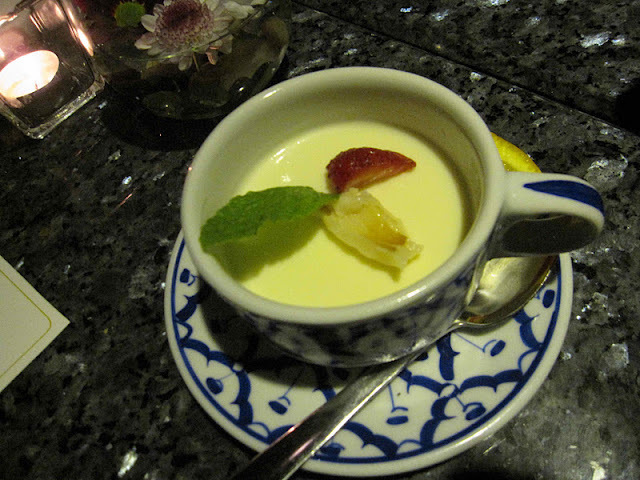 The Lychee Panna Cotta was a perfect creamy finish with a hint of lychee flavour and not too sweet. I would definitely order this one again. Overall, I was really happy with my experience at Bangkok Garden. The room was warm and cozy with touches of Thai decor. Service is efficient and friendly. If you're looking for a romantic hidden gem in the downtown core, avoid the chain restaurants and typical tourist traps and head over to Bangkok Garden. Glad you had a good experience. I visited this place a few years ago and a cockroach walked across the table! Needless to say, I left immediately... if you go, keep your eyes peeled.